Rev. John C. Puisis, CSV, died on Tuesday, February 8, 2011 at 9:45 AM. Fr. Puisis was 93. He was born in Chicago on July 23, 1917, the son of John and Mary (Stulas) Puisis. Fr. Puisis attended Quigley Preparatory High School in Chicago. He pronounced his first vows as a Viatorian on September 8, 1938 in Lemont, IL. He received his B.A. degree in English literature from St. Ambrose College, Davenport, IA and his M.A degree in English and American literature from the University of Illinois in Champaign. He attended Kenrick Seminary in St. Louis, MO and was ordained a priest on June 2, 1945 in Chicago by Bishop William O’Brien. In the years between 1940 and 1951, Fr. Puisis’ high school teaching assignments included two sessions at Cathedral Boys High School in Springfield, IL, St. James Trade School in Athens, IL, and Fenwick High School in Oak Park, IL. He served as assistant novice master in Arlington Heights, IL prior to being assigned to teach at St. Viator Rakusei High School in Kyoto, Japan. Fr. 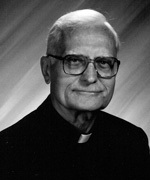 Puisis taught English and assisted at St. Viator Church there from 1952-1966. Upon his return to the United States, he was assigned as associate pastor to St. Patrick Church, Kankakee, IL. Between 1968 and 1972 he served at Bishop Gorman High School, Guardian Angel Cathedral, St. Anne Church and Our Lady of Las Vegas Church in Las Vegas, NV. 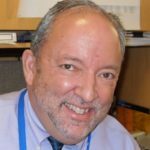 Between 1973 and 1981, he served as chaplain at Immaculate Conception Church and Elmhurst Memorial Hospital in Elmhurst, IL. He returned to Our Lady of Las Vegas in 1982. During the years 1983-85, he was associate pastor at St. Vincent de Paul Church in Holiday, FL. From 1985 to 1993, he served as associate pastor at Our Lady of Fatima Church in Inverness, FL. He was then assigned to St. Joseph Church in Springfield, IL, as associate pastor. In 1995 he retired to the Viatorian Province Center in Arlington Heights, IL. In 2007 he moved to Addolorata Villa in Wheeling, IL, where he resided until his death. A wake was held at Addolorata Villa Chapel on Sunday, February 13, 2011 from 3:00-8:00 p.m. with a wake service at 7:30 p.m. A Mass of Christian Burial was held at Addolorata Villa on Monday, February 14, 2011 at 11:00 a.m. Interment was at Queen of Heaven Cemetery in Hillside, IL. Please remember Fr. Puisis in your Masses and prayers.